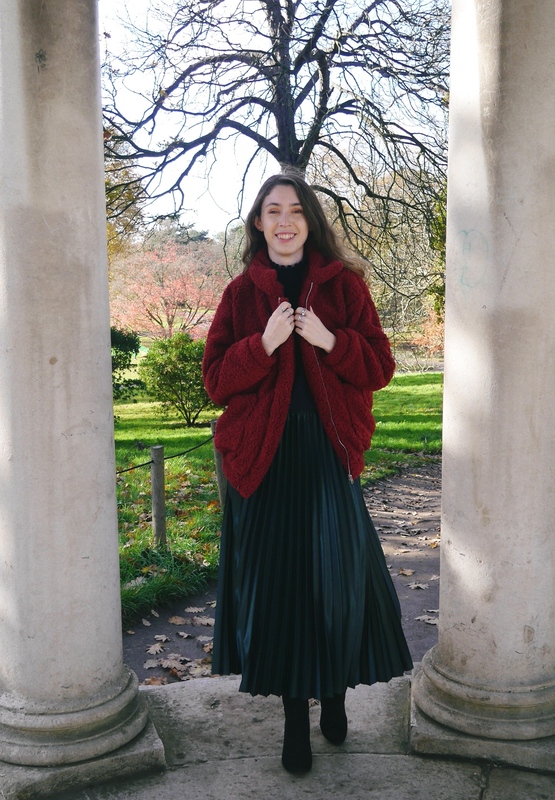 I have been lusting after a teddy bear jacket since last year and thanks to SHEIN I finally have my hands on one in this gorgeous berry colour, perfect for the festive season. 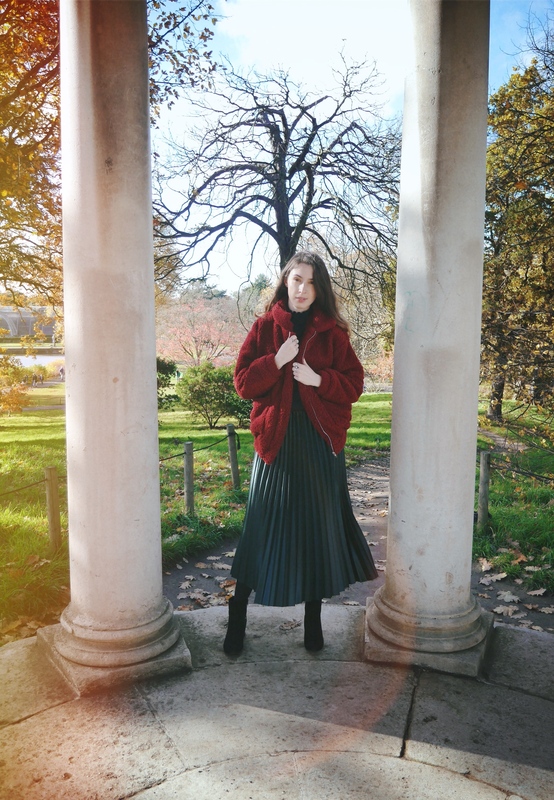 I am very much giving off Mrs Clause vibes in this outfit and I am loving it. 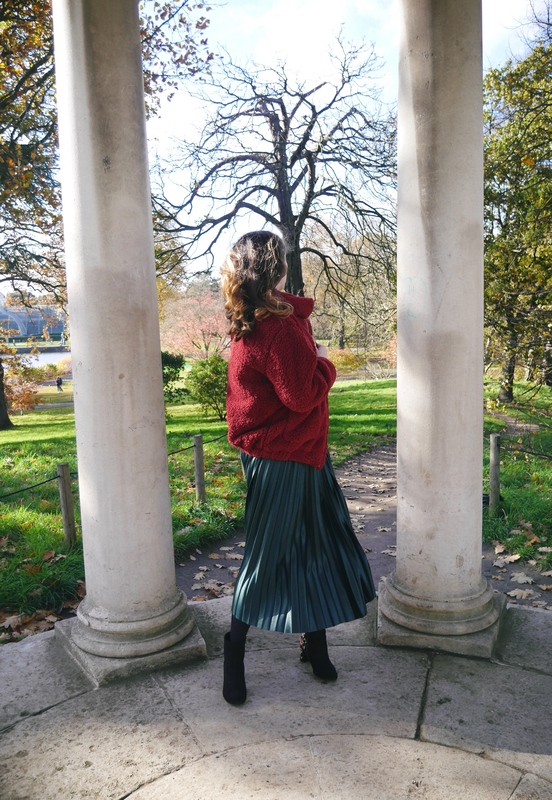 It’s great for just popping on over a light-weight sweater during these gorgeous sunny afternoons we are still having in London. It’s fully lined so keeps you snug when the wind blows, plus you can always zip up for extra warmth. 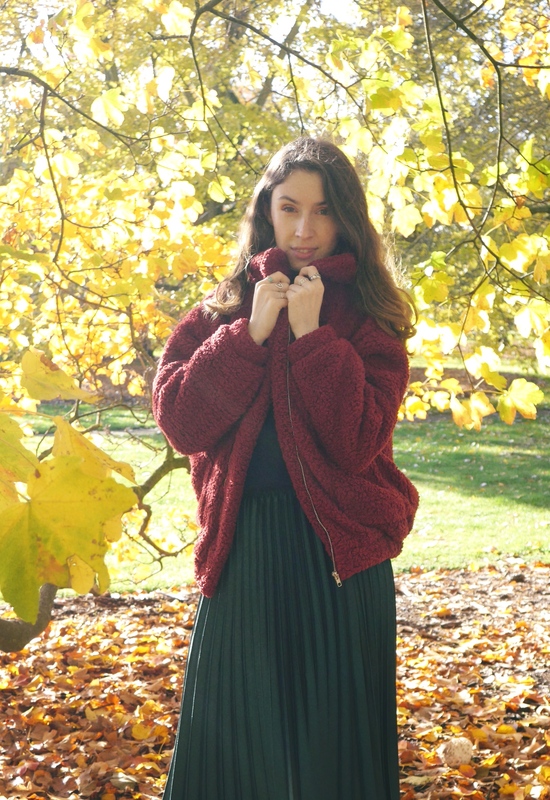 I got mine in a size small but I think if you sized up you could fit more layers underneath, plus it comes in 9 different colours, so whatever you colour palette you can still feel like a teddy bear!. Fancy getting your hand on this jumper with a cheeky 15% off click the link and enter kate015 at the checkout.